Aptamers are defined as alternative antibodies which can be used for scientific researchs, diagnosis and therapy. 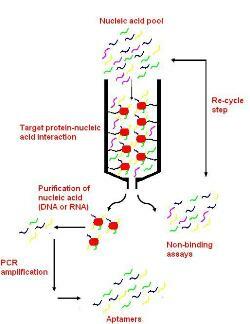 They are short oligonucleotide assays that can bind spesifically target molecules and can be synthesized in vitro. To determine biologically important molecules via aptamer- target interaction is new trend and consequently, many reports have been registered in literature. In this review, recent developments in aptasensor technologies for the last decade are explained.